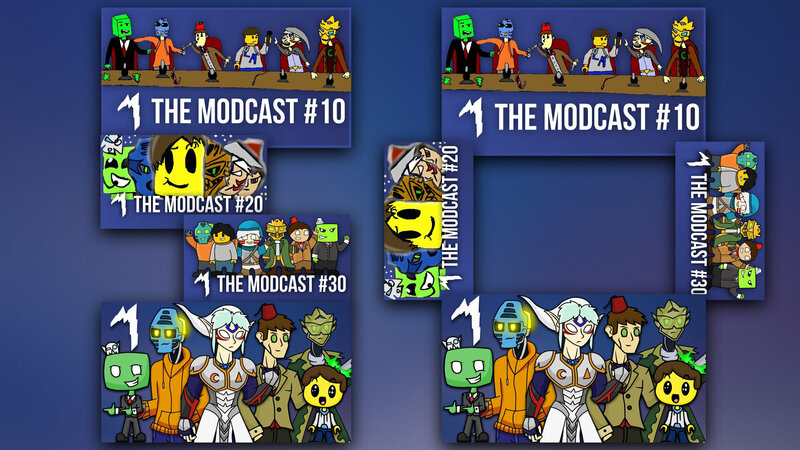 After the longest hiatus we've had, the modcast is finally back! Thanks again to @Oonie for guest starring and drawing the thumbnail art! So that's what Oonie's torso looks like. A Modcast released on Sunday? That's also about LEGO? We talk about quite a few topics surrounding what we do with LEGO like creating combo/alt models, selling pieces, and somehow Galidor fits in somewhere. Huzzah, it only took a month to get this one done; two weeks to spare! oh no i am behind on these. ahhhhhhhhhhhhhhhhhhhhhhhhhh. need to catch up on this. ttv. other stuff. ahhhhh. why waj. why you curse me like this. why waj. why you curse me like this. Posting obligatory message regarding lateness of Modcast 49. Sorry the real Waj couldn't be here, he is 'school finaling' at the moment. No excuses. You don't get a life. You're job is to give us constant modcasts, and nothing else. You don't get freewill. You only get modcasts. Episode 50 will hopefully be a QANDA Livestream. We'll announce details here and on Bird Chatter. 50 episodes = 5th QANDA! So to ask a question you can either leave it in the comments section of episode 49, post it on Bird Chatter (Twitter) with the hashtag #modcast50 or send them to me via PM. You can ask as many questions as you want- we probably won't get to all of them though. so waj we cant send messages on this area? Can I ask 50 questions for 50 episodes and send you all on an epic ride-quest down memory lane searching for 50 Easter eggs within your 50 podcasts? I want to thank all of you that asked us questions and had been there to experience the modcast live. Twas a true extravaganza! I'll try to get the edited version of episode 50 done within this next week. For now, a link to the unlisted uncut version is on Bird Chatter if you want to experience it raw. Still editing Modcast 50's audio... in the mean time I talked with @Eljay over on his show if any of y'all are interested.
" "... in the mean time, Slime! I expected the special guest to be Greg, sad. Thanks to @PekekoaOfJungle for creating the thumbnail art! Usually I thank everyone that's made art for the last 10 eps, but we've been doing a different style for the thumbnails these past eps. We always appreciate art though! So thanks to @Oonie for episode 47's art and Pek again for this ep! And of course thanks to all y'all that asked questions! Can't wait for ep 60 to come out in 8 years.